In late 2010 the United Kingdom’s Information Commissioner’s Office (ICO) decided to let Google off the hook for all the Internet data it illicitly collected from people’s Wi-Fi networks while roaming around snapping pictures of British roads and building for its Street View project. Google claimed it had originally intended its Street View vehicles basically make note of nearby Wi-Fi hotspots to help develop its location-based services — after all, if GPS or cellular information isn’t available, sometimes a Wi-Fi network can be a way to help pin down a device’s location. Except Google’s Street View vehicles did more than that: they also captured email messages, URLs, passwords, and anything else that might have been transiting unsecured Wi-Fi networks at the time — and Google, being Google, naturally saved all that information. The ICO decided not to fine Google over the gaffe — rather sporting of them, considering they could have assessed hefty fines against the company. Instead, the ICO’s agreement with Google merely called for the search giant to delete all the data it had collected — and be subject to an audit from the ICO. Now, Google has revealed it didn’t actually delete all that Street View data and is apparently in violation of its settlement with UK authorities. In a letter to the ICO (PDF), Google revealed that it still has a “small portion of payload data” collected by Street View vehicles in the UK, which it claimed turned up as it was conducting an inventory and re-scanning of “thousands of discs.” And they didn’t just find payload data from the UK: data collected by Street View vehicles in other countries turned up too. Google says it’s in the process of notifying authorities there. The ICO has informed Google to hand over the newly re-discovered data immediately so it can perform an analysis and decide on an appropriate response. Google just can’t seem to escape fallout from its collection of Wi-Fi data by its Street View vehicles. The company was recently fined by the FCC for deliberately witholding information that engineers knew the systems were collecting data from Wi-Fi networks. Although the U.S. Department of Justice has cleared Google, the FCC’s investigation of Google’s Street View effort is ongoing. 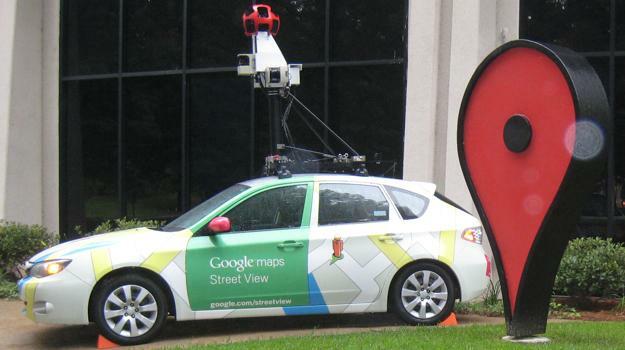 Google is also still facing scrutiny from European regulators for Street View data collection.